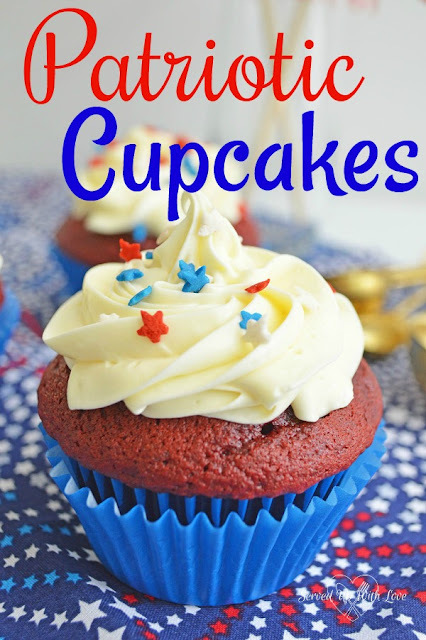 Are you in charge of dessert for the annual 4th of July cook-out? 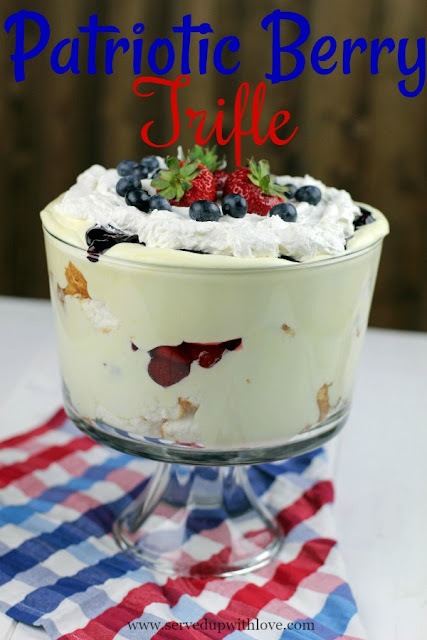 Don't fret, I have a very simple trifle recipe that will get all the oohs and ahhs and it will look like you put in a lot of effort to make it. But it really couldn't be any easier. I made this with a homemade pound cake that my son help me make. However, you can keep it even simpler by making this with a store bought pound cake out of the freezer section of your local grocery store or from your grocers bakery department. 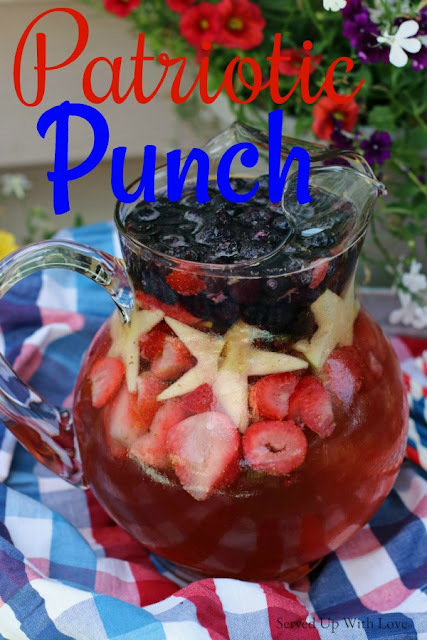 It is the perfect recipe to celebrate all things red, white, and blue. I also love to make individual mason jar trifles. Because I just love mason jars AND dessert! Prepare your favorite pound cake and allow to cool. Make the pudding according to directions on the package. Wash and slice your strawberries and wash the blueberries. Slice your pound cake and take a star cookie cutter and cut out star shapes out of your cake and set aside. 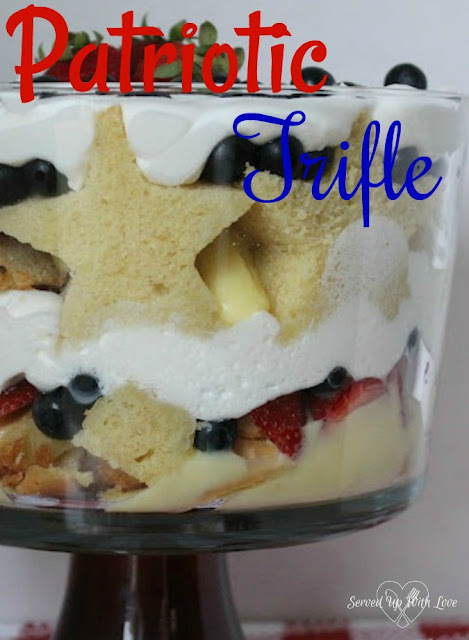 Assemble the trifle by placing some cubed pound cake at the bottom, top with a layer of vanilla pudding, top that layer with strawberries and blueberries and then whipped topping. The next layer place the star shaped pound cake on the outer edge of the trifle dish, fill in the middle of those with cubes of pound cake, layer with pudding, berries and whipped topping. Place the berries on top of the whipped topping. Enjoy! YUM OH YUM! I love these gorgeous, easy to throw together, impressive dishes. Thanks so much for linking up at Weekend Potluck.